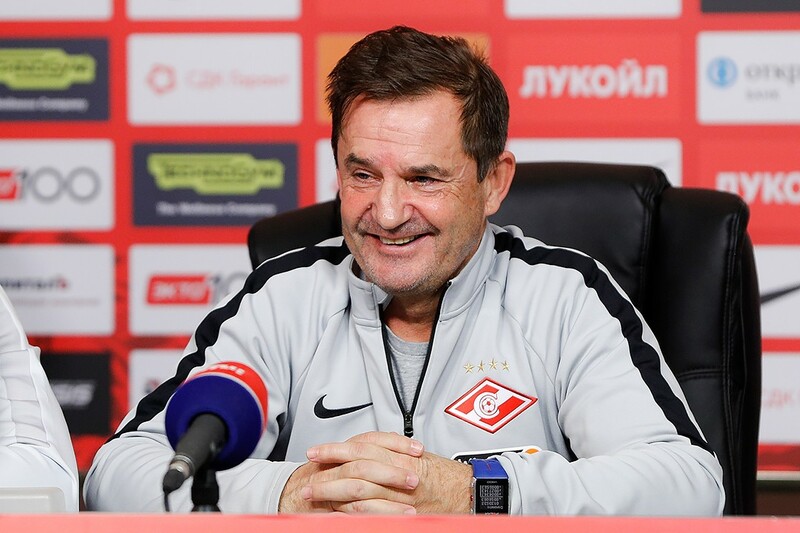 Out interim head coach faced the press before the Ural game. Here's what he had to say. — You have been an interim head coach for a couple of games already. Do you have an understanding how long it will remain that way? — No, I haven’t discussed it with the board. But it doesn’t worry me. I don’t need a long-term contract and I don’t hold onto my place. I only think about the next match. I’m an ordinary, normal person: I say what I think. But please don’t attribute things to me that I haven’t said. Don’t rip my phrases out of context. By the way, I’m not an advocate of long-term contracts at all. A year is always enough to understand whether you suit the team. 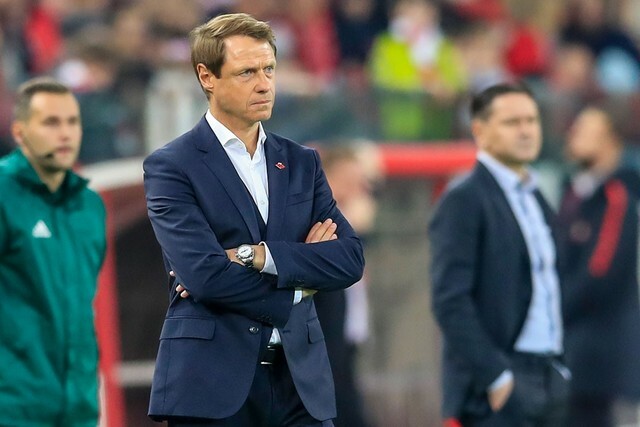 — After the Anji game you have publicly supporter Denis Glushakov, whom some supporters dislike. Aren’t you afraid they will turn on you too? — I don’t support Denis Glushakov specifically. I protect Spartak players, I don’t care what their names are.. I have an advantage in that I haven’t brought a single player here myself, they are all equal to me. I will defend every one of them. I want to note that no one guarantees a place in the matchday squad for Glushakov. The most important thing for me is how players work in training. We analyse every session scrupulously, we know how players work. This dictates whom I pick, players know that. 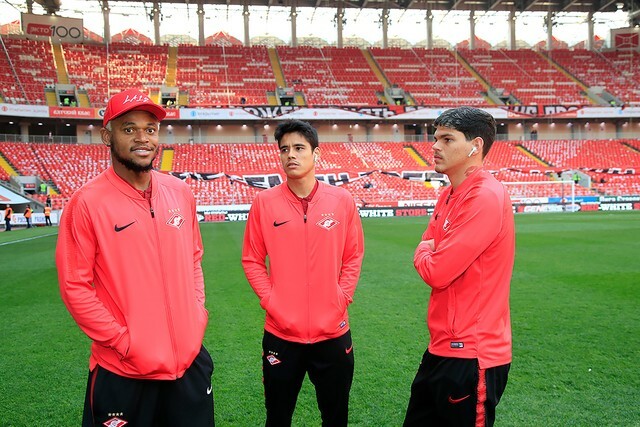 — As someone who’s been with the team since summer, have you noticed any friction between Carrera and Glushakov? — When a relationship breaks up, you can try to put it right by showing mutual respect. But it turned out differently here. 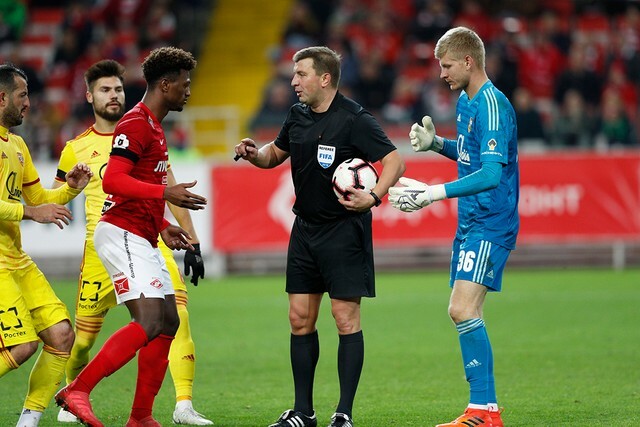 Spartak suffered the most from it. I don’t want to go go searching for those who were right and those who were wrong. What I can say is that Glushakov have always trained fantastically. Starting from the Austrian pre-season and up until today he has been a model professional. He can help Spartak with such an attitude. It would be foolish from me not to use such a player. I want to ask our fans not to boo Glushakov. Because when they do that, they boo the entire team, including the young players, which makes it hard for them. After the game they can blame whoever they want - Riancho, Glushakov, etc. But not during games! Spartak has the best, most passionate fans in Russia. The team needs their support! Don’t make a liar out of me, don’t think I hide behind a mask. I’m just a regular person, I want to be honest with you. I’m ready to meet supporters, with journalists and discuss everything in an honest manner, look them in the eye. — The entire season Spartak has been using the 4-3-3 formation. It’s not to everyone’s taste, not everyone understands what’s the idea behind it. Can you explain this particular choice? — That’s based on my viewpoint. Spartak have conceded a lot of goals last season. A decision was therefore made, to play defense first, to fix it. Juventus went down the same road by the way, after signing Cristiano Ronaldo they needed an extra player to do defensive work. I do not intend to change the formation. I have made it clear to the players. Opposition managers can sleep peacefully, I won’t change the formation every week. I have learnt this from Kurban Berdyev, who I’ve worked with. He’s not an advocate of frequent formation changes, he just polishes the same formation. That’s one of the reasons why Rubin are one of the best teams at set-pieces in Russia. Besides, 4-3-3 gives you different options: you can start attacks with three players, with inverted wingers, with the holding midfielder dropping in-between centre-backs, etc. — Can you give us a fitness update? — Fernando and Ze Luis continue to train separately. I hope they’ll be available for Thursday. Eshchenko has today played for the U21s. He had problems with his shoulder, but these are behind him now. I hope to see him with the first team soon. If we are talking about rotation, you can expect changes compared to the Anji match. With several matches inside the week, players do not recover fully. And I need every player to be at 100% before games.